Free 90 minute guided tours by our Trail Guides. 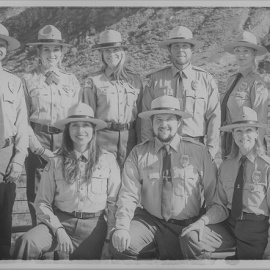 Meet in the Visitor Center Wed., Sat. & Sun. at 9:30 am or Campground on 2nd & 4th Sat. at 8:30 am. Check website www.mtrp.org for information about Bird Walks, Tracking Walks & Star Parties. 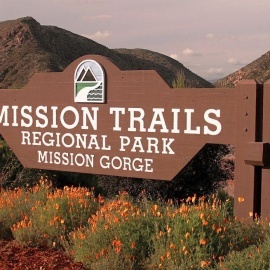 Mission Trails Regional Park encompasses over 6,100 acres of both natural and developed recreational acres. Its rugged hills, valleys and open areas represent a San Diego prior to the landing of Cabrillo in San Diego Bay in 1542.